L’Occasion was awarded Best Overall and Best Writing from the prestigious Wine Media Awards. 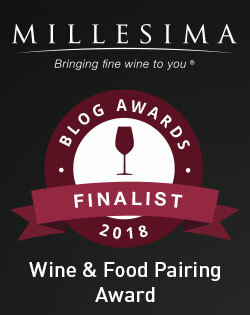 L’Occasion’s piece on homemade pasta and affordable Bordeaux wines was a food and wine pairing finalist in the Millesima Wine Blog Awards 2018. Together, Jill and Jason have traveled to Europe, South America and across the U.S., visiting winemakers, producers, proprietors and restaurants to taste and explore the field in which this publication is set. Jill writes about wine (travel + food + luxury too) as a freelancer in addition to L’Occasion. She is a regular contributor to Forbes and USA Today. Jill’s work has appeared in partnership with Wine Enthusiast, Decanter, Forbes, USA Today, Relais & Châteaux Instants Magazine, Vivino, Palate Press, Luxe Provence, Courrier International, American Winery Guide, Wine Tourist Magazine, Provence WineZine, Perfectly Provence, California Winery Advisor, and DuVine Adventures and Cycling. Jill is a certified Provence Wine Master via the Wine Scholar Guild and a 2018 Fellow at The Symposium for Professional Wine Writers. She holds a BA in Communication from the University of Illinois at Chicago. Jill is a fiction writer with short stories published in multiple print anthologies and literary journals and my work has been featured on NPR and Longform. Her first novel tells the story of Provençal winemakers during the Second World War through the later part of their lives in 1970’s Napa. Fresh novel in progress. Please note that some of the producers we’ve covered here have provided samples, either by a generous offer or by my request. None of our posts on L’Occasion are pay for play, and the complimentary wine, product, tour or invitation has been utilized to tell a more complete story based on our experience. “Writer for hire” projects aren’t published on L’Occasion. We accept samples and appreciate the generosity. We’ll do our best to learn about your work, however, coverage isn’t guaranteed and all opinions are our own. The special shape of the orecchiette pasta. Photo via VinePair. Look at them, drinking and enjoying!